It’s Earth Day! Which means…. what exactly? 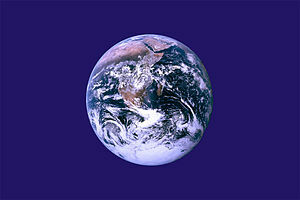 To me, Earth Day is a time to reflect on your relationship with the Earth and try to improve it. And since it comes in the spring, Earth Day is a good time to garden, start a compost pile, or make this the year you go organic. I also like to think about more ways to reduce, reuse, repair, and recycle. According to Wikipedia (not the perfect source, but it seems believable on this one), the first Earth Day was held in 1970. It was started by Gaylord Nelson, a United States Senator from Wisconsin, as an environmental teach-in modeled after the Vietnam teach-ins of the time. Over 20 million people participated that year, and Earth Day is now observed on April 22 each year by more than 500 million people and several national governments in 175 countries. So what is the city of Bellingham doing for Earth Day? The Port of Bellingham has just started a new recycling program. They just installed new recycling containers at Marine Park, Zuanich Park, and along the Squalicum and Blaine Promenades. Boundary Bay Brewery is having a sustainability fair and bbq in their beer garden. It’s free, family-friendly, and starts at 4pm today, Friday April 22nd. Sustainability talk at Western Washington University today at 3pm. Seattle City Council President Richard Conlin will speak on “Sustainability and Community” in Communications Facility Room 125. Clean up the Bellingham parks at a volunteer clean-up tomorrow, Saturday the 23rd. There are clean-ups at Memorial Park, Gossage Garden, Franklin Park, and Cozier Community Forest tomorrow from 10am til noon. Whatever you do for Earth Day, enjoy the wonderful world we live in!